reputation with organizations for; Producing & Conducting Quality, Reasonably Priced Tours that have generated Large Revenues for nonprofit groups. There is no cost or membership fee to join Rebate Ireland. It only takes a commitment from your group to do their best to promote and advertise your Tour. For your effort, your organization will receive $4,000 with as little as 20 travelers and as much as $12,000 with 41 travelers! You can earn this without adding anything to your competitive tours rates. Read the ‘We Will’ list that follows. It’s our total contract! We do the work and supply the fun, you supply the participants. 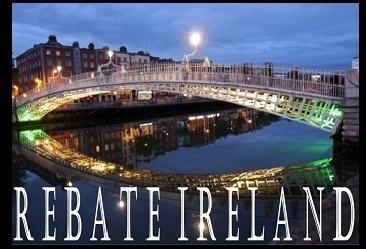 Find out if, "Rebate Ireland” is right for your group. NEXT, If qualified, We Will..